We have a tendency to regard Wolfgang Amadeus Mozart's music as having emerged fully formed into the world, not least because we hear it performed almost exclusively in a highly polished state of near-perfection. That makes any glimpse into the process of its creation all the more valuable, and the British Library has now provided us with much more than such a glimpse: at its site you can now read Mozart's own thirty-page musical diary, a record of "his compositions in the last seven years of his life" and thus "a uniquely important document" in the history of classical music. The British Library notes that, during the period from February 1784 until December 1791 that the diary covers, Mozart "composed many of his best-known works, including his five mature operas, several of his most beautiful piano sonatas, and his last three great symphonies, as well as several famous lesser works." The pages you see above and below this paragraph come from his comic opera The Marriage of Figaro. "It was a turbulent time of his life, with financial crises, family tragedy, and his ongoing unsuccessful search for a permanent court position." Enthusiasts will have taken notice that those years also constituted the last seven of his life, before his early death at age 35. But the flame that burns twice as bright, to coin a phrase, burns half as long, and we've previously featured here on Open Culture some of the formidable musical accomplishments Mozart attained before even reaching adolescence. 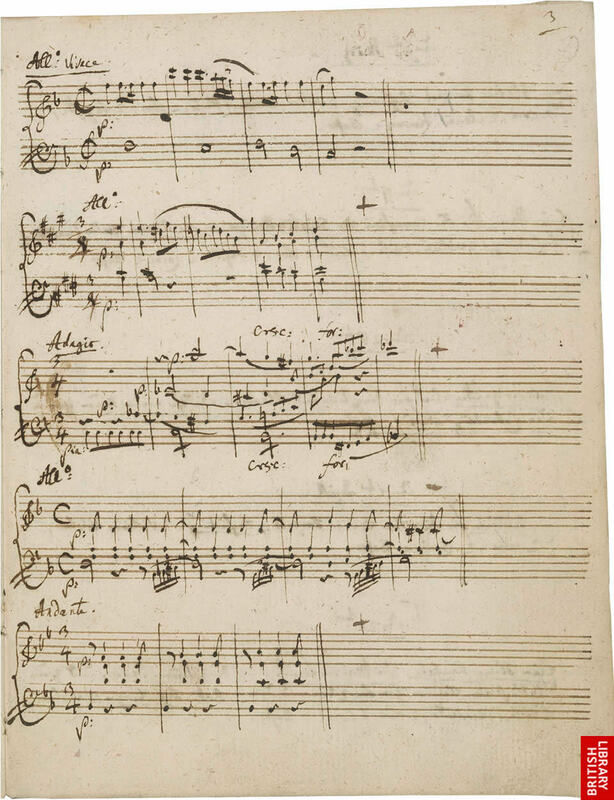 But it somehow feels even more of a wonder to see writings in the actual hand of the mature Mozart, at the height of his compositional powers. 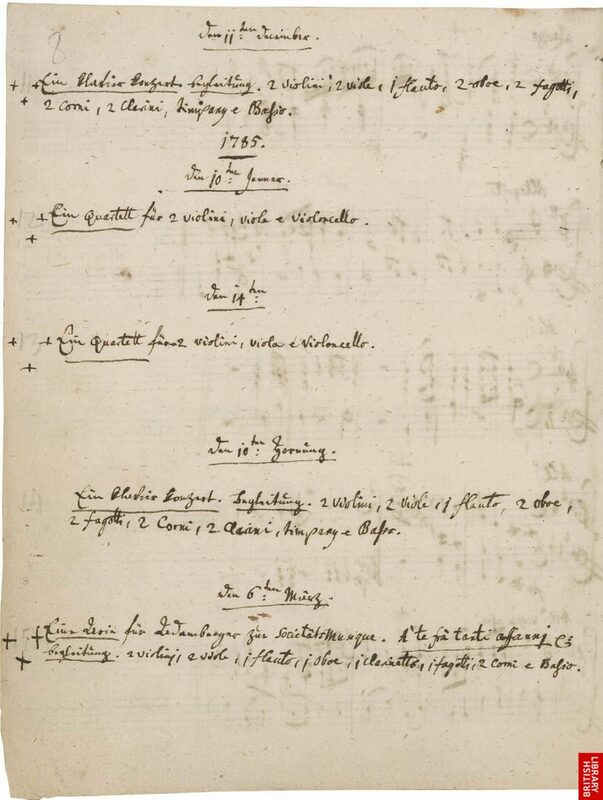 You can read the musical diary he wrote in two different formats: as a standard web site with details about the viewed pages and historical context from Mozart's life provided below each set of pages, and a zoomable, page-flippable browser with optional audio notes. If you'd like a soundtrack to go with the reading experience, a certain 127-hour playlist of Mozart's music suggests itself. Why is it not disclosed that only selected pages of the “Verzeichnüß” are included in facsimile for online viewing? Only a selection of images from the manuscript are given on the website with full commentaries. 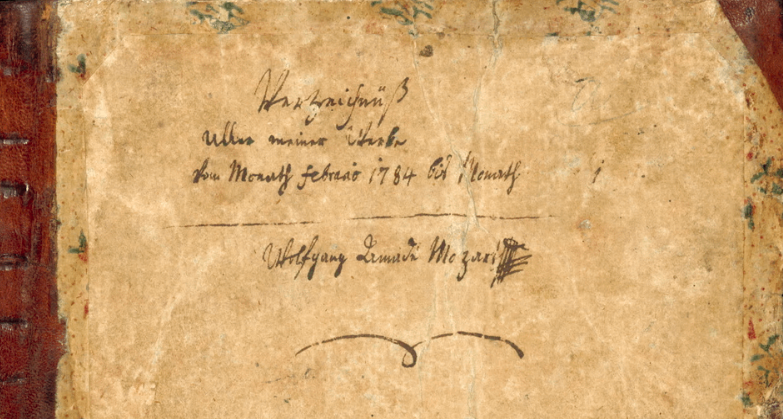 This is how the BL originally made the manuscript available online back in 2006 to mark Mozart’s 250th birthday. This is not a “glimpse into the process” of Mozart’s creativity. It is a diary – a listing of the main themes of his works. He did this for most of his life. He didn’t have Dropbox, so he devised his own method of filing his works. There is nothing “creative” about it. No glimpse into any process aside from his own personal organization. Did you really read the press release from the Museum?